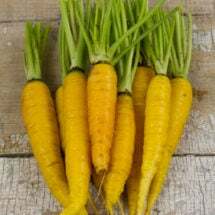 Heirloom carrots aren’t always orange! 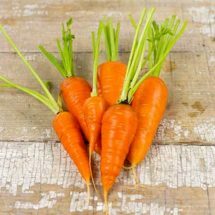 Sow in loose or sandy soil and keep moist to get perfect roots. Protect from hot, direct sun. 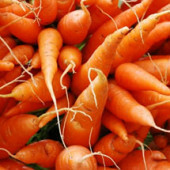 Use in soups, stews or enjoy raw — they’re packed with vitamins and anti-oxidants. Heirloom Seed Packs are Shipped FREE! 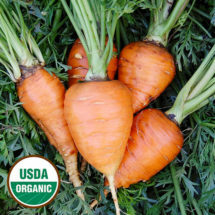 Good for a summer to fall crop with large 8-inch roots and strong tops. A popular market variety that’s sweet, smooth and refined in shape. 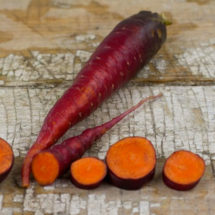 Spicy and sweet with bright purple skin — Cosmic Purple is popular at markets! 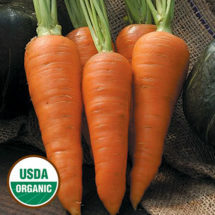 A best selling variety for home and market gardens that’s sweet and tender. 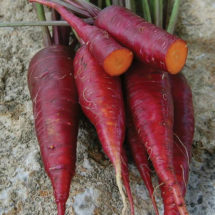 Beautiful red-purple skin provides a nice contrast with the yellow-orange flesh. 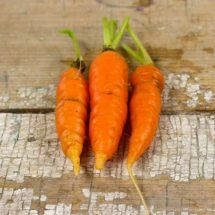 Produces deep orange, stubby roots that are crisp, juicy and very sweet. This superb baby-type was developed in France for easy canning and pickling. 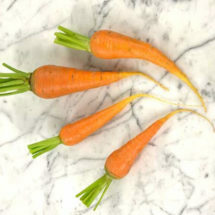 A delicious North African variety that produces blocky, 7-inch orange roots. A nineteenth-century French variety that does well in shallow or rocky soil. 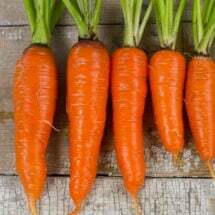 A large, 10- to 12-inch long variety with red-orange roots that are very sweet. 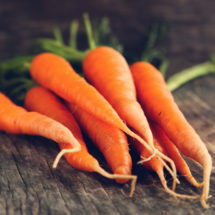 Good for storing and juicing. 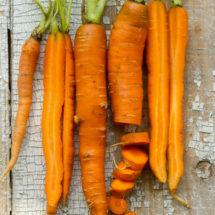 Red-orange roots grow up to 7 inches long.